Pearl jewellery is all the trend right now so get ready to clutch your pearls girls there are just so many reasons to adore these glowing gems. These lustrous spheres, worn since ancient times by the ladies of Rome and Persia, are now adorning the necks, ears and fingers of style-setters around the world with designs that are a long way from your grandmother’s neat single strand. 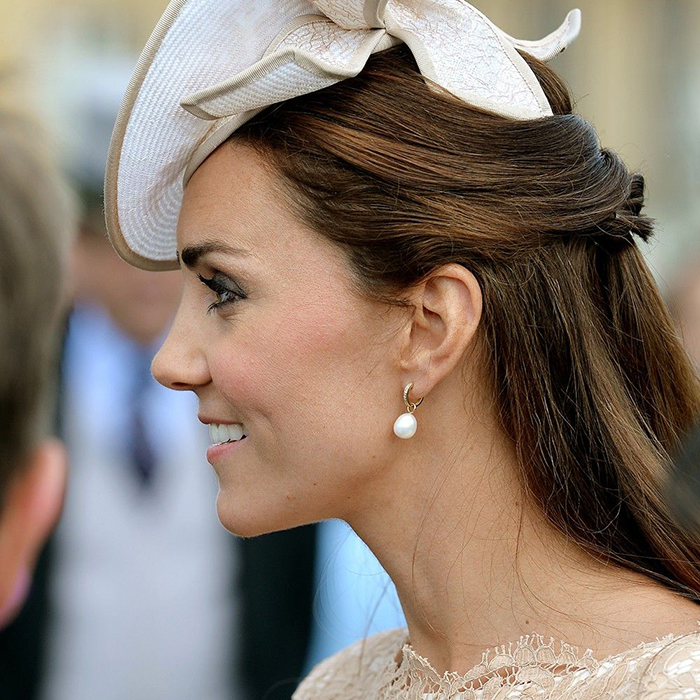 The ever-stylish Duchess of Cambridge has more than one pair of favourite pearl earrings. Emma Watson, Jennifer Lawrence, Miranda Kerr and a host of style influencers have recently been spotted in organic gems, proving that you don’t need to be a woman of a certain age to wear these beautiful gems. Chanel and Dior both featuring edgy pearl jewellery in recent runway shows, and Dior’s double pearl stud earrings remain style classic. 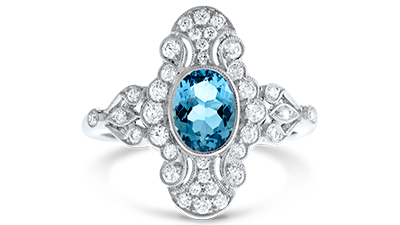 Traditionally they symbolise purity and innocence and are a popular choice for wedding jewellery. With the recent re-emergence on runways, fashion blogs and magazine pages are showing that they have a style and versatility that shouldn’t just be confined to your wedding day. Lustrous, hard, smooth, round, misshapen, baroque. These organic gems form when a foreign matter like a grain of sand enters the mollusc and nestles into the mantle of soft tissue between the shell and body. It secretes nacre and gradually over time forms a beautiful pearl. Most are forming in seawater molluscs in large pearl oysters of the genus Pinctada. 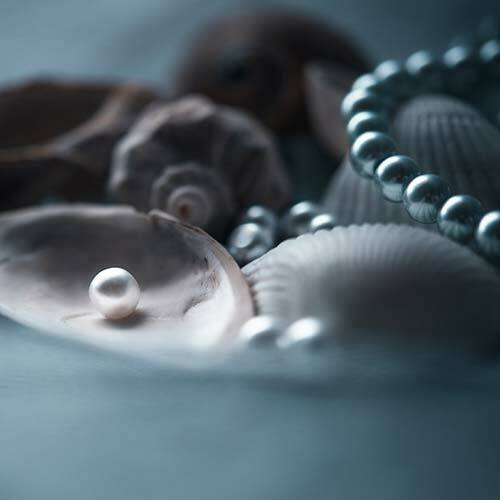 The many different types, colours and shapes of pearls depend on the natural pigment of the nacre, and the form of the original irritant. Not all oysters produce pearls; naturally, most today are harvested. What Are The Recent Pearl Jewellery Trends? Keshi pearls are a hot trend right now; their natural organic, irregular shape makes them a jewellery box must have. Interestingly their irregular form is shaping when the mollusc is rejecting the irritant – nucleus, creating a pearl composed purely of nacre. Baroque pearls are another hot trend. With their larger unique oval shape, deriving from culturing in freshwater, mantle-tissue nucleates these pearls rather than beads. This is leaving them with an irregular non-spherical shape with uneven pinching ends. The organic form makes each pearl truly unique. South Sea pearls are the largest and rarest of the cultured pearls. South Sea pearls are popular because of their exquisite lustre and large perfect form. Harvesting for longer, in the Pinctada Maxima oyster, they nucleate with a much larger bead than other saltwater oysters mollusc. Each mollusc produces five gems in its lifetime. The Australian South Sea pearls are classic white and silver tones and come from Western Australia, and the golden tones come from the Philippines and Indonesia. 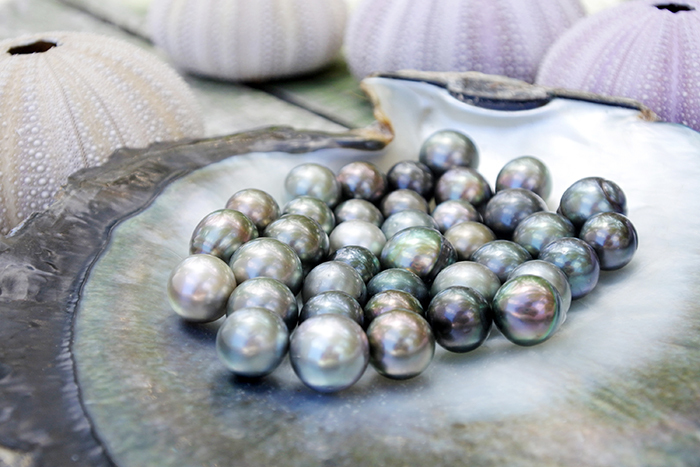 Tahitian pearls come in a variety of shapes, colours and sizes. Appreciated for their overtones and undertones of colour allowing a vast array of versatility. 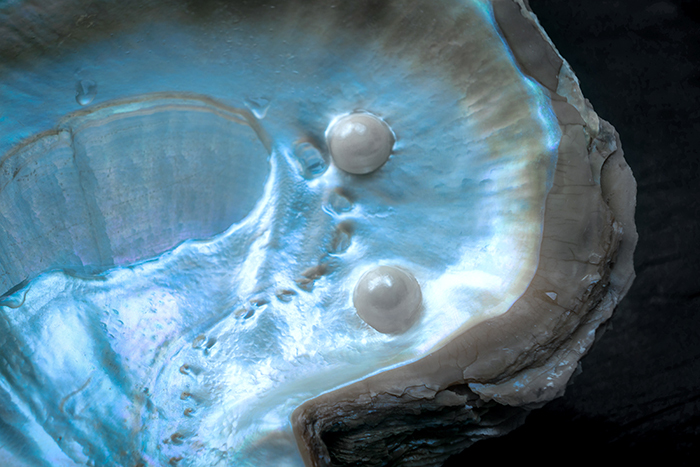 Tahitian pearls grow in the Pinctada margaritifera oyster. A piece of mantle from a donor mollusc influences the colour of the pearl. The donor mollusc is inserted at the same time as the bead. All materials are organic, so there’s less of a chance the mollusc will be rejecting the nucleus. Organic gems are soft and porous. So on occasion, they’re scratch a little easier, and perfume and hairspray will affect their lustre along with household cleaners. 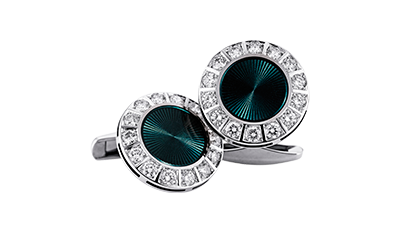 To keep their bright radiance, we recommend styling your jewellery afterwards. Apply a soft, moist cloth on occasion to keep them clean. See the list below for more details on how to best care for your pearls. If required, use warm soapy water (pure soap only) to remove any makeup then ensure pearls are completely dry. Avoid wearing pearls in water (salt or fresh water) as it will perish the silk. Water will perish the silk they are strung on or the adhesive used to attach them to earring fittings. 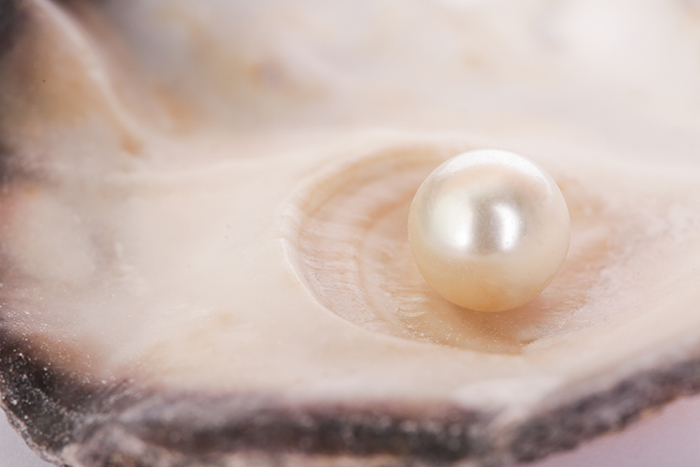 The chemicals used in chlorinated water will permanently damage the finish of the pearl, resulting in a dull pearl with no lustre. Store pearls in a pouch or box supplied. Avoid storing with other jewellery to prevent rubbing against other pieces that may cause scratching on the surface of the pearl. Check stringing of pearls and restring when necessary. Pearls should have a restringing every 24 months depending on the frequency of wear. An indication if pearls need a restringing is by assessing the knots between each pearl. If they appear to be stretched or frayed, it’s time to restring. Avoid direct contact with perfume, makeup, tanning and lotions to avoid tarnishing, marking or discolouring the pearls. If you expose your pearls to any of these, you may wipe them over with a soft damp cloth. Storage: Pearls are very soft and require special care. Store your pearl jewellery in a pouch in a cool, dry place. Whichever style of pearl you choose to add to your jewellery collection you can be sure it’s a smart investment that’s here to stay. For more information on how to care for your jewellery. Read our care and maintenance guide here. 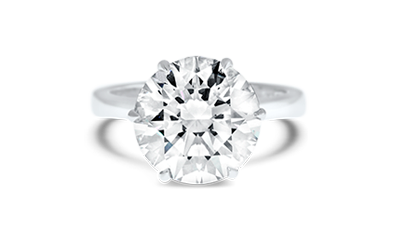 Previous PostPrevious Platinum Vs. Gold – Which Metal Is the Best For Your Engagement Ring?